Devine Carama Keynotes West Virginia's S.A.D.D. Youth Conference! This weekend I was Blessed with the opportunity to host and keynote the #WVSADD Youth Conference on Camp Dawson in Kingwood, West Virginia! Shouts to the #SAAD staff and the leadership team for curating an incredible atmosphere for cultivating youth leadership! So proud of all the young people in attendance this weekend!! Your dedication to making your communities better definitely inspired me! The fun and information filled weekend started on Friday night, as presented my "Power of Words" lecture followed by a 20 minute performance of songs from my "Kingtucky" album series. Saturday morning at had the honor of introducing guest speaker, Marie McGrafh, as she gave an informative and inspiring presentation called "Text less and Live MORE", focusing on the dangers of texting and driving, not allowing social media to rule our lives, and more! Her presentation was followed with a days worth of break out sessions and concluded with a semi formal dance to close out the evening. Sunday morning I provided the closing keynote address called, "Leadership & Legacy", as I challenged the 300 plus students to become active leaders in their community and leave behind a legacy of good works to inspire the next general! Below you can find a few more pictures from the conference! 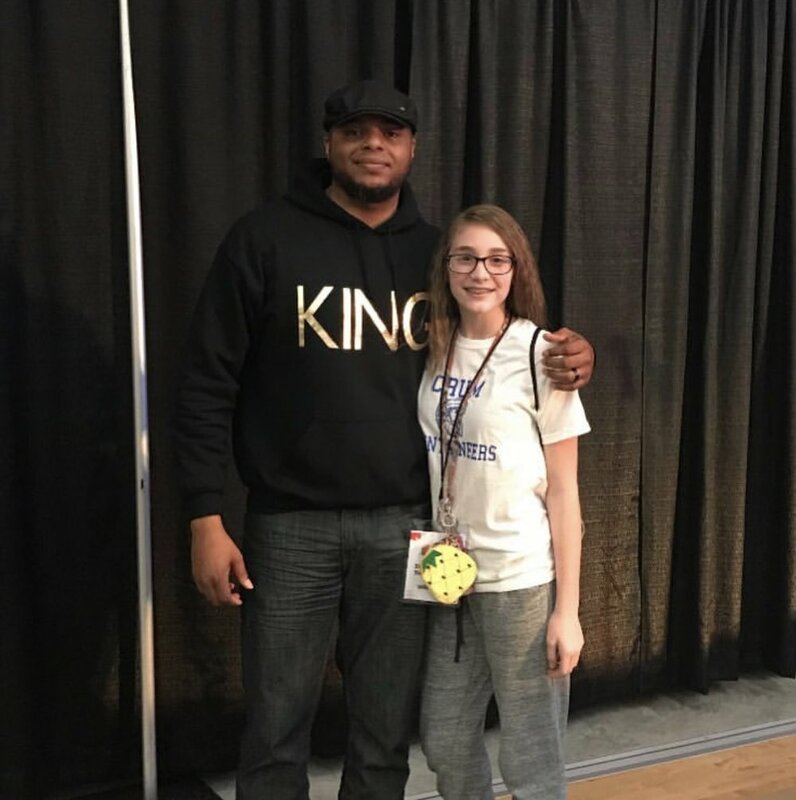 Newer PostDevine Carama Speaks to Over 2,000 Students in Portland, OR On Hip Hop & Leadership! Older PostDevine Carama Talks Leadership & Anti-Bullying to Over 3,500 Students in North Carolina!